Our next meeting is this coming Wednesday, November 21st. We will meet at our usual place and time; 7pm in the second floor staff room at Indian Road Crescent Public School. We have a few new items of business to discuss. For starters, we will explore obtaining registered charitable organization status. This idea was raised at our AGM last month. It is something that we have considered before, but our situation is different now as we have more assets and resources to manage and to fund. Obtaining registered status opens up the potential to raise more funds from individuals and perhaps more importantly, to apply for grants we do not currently qualify for without registered status. We would also be able to leverage registered charity status to assist other local groups that we can partner with and help raise funds for. The Community Council shuffle has come up once again. Under the 47 ward system, the West Bend Community Association campaigned to have our neighbourhood assigned to the downtown Toronto Community Council. Our neighbourhood has much more in common with downtown than with Etobicoke; think transit, laneways, condos, cyclists, and sidewalks! Our campaign was successful! However, under the current 25 ward system, there is once again consideration to to have our Ward 4 grouped with the wards to our West. We will campaign again to be a part of a Community Council that better understands our community’s needs, and we can use your help! And now for a little public service announcement: Winter is coming! Please be sure to shovel your sidewalks within 24 hours of a snowfall (ideally sooner!). We live in an incredibly walkable neighbourhood — please be considerate those who rely on our sidewalks to get around! Our monthly meeting is where the planning the Association’s activities takes place. It’s a place to bring up items of concern, share observations about the neighbourhood, and find out what options are available to contribute. Our meetings are open to everyone — no membership is required. We hope to see you there! 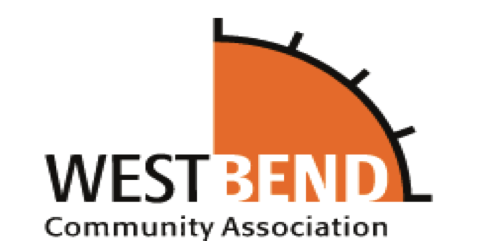 Copyright © 2018 West Bend Community Association, All rights reserved.